Will Connecticut Follow New Mexico's Lead Into Legal Sports Betting? Will Connecticut Follow New Mexico’s Lead Into Legal Sports Betting? For decades, federal law prevented New Mexico tribal casinos from offering sports betting. Then came the May 14 ruling from the U.S. Supreme Court removing that obstacle, and earlier this week, a New Mexico casino debuting its sports betting option. So why can’t Connecticut do the same, at the Mohegan Sun and Foxwoods giant tribal casinos? It’s because the compacts between the states and the resident tribes are different. New Mexico allows most forms of gaming, absent federal prohibitions. Connecticut allows only specific sorts of gaming. And sports betting is not on the list. The Nutmeg State tribes saw this coming even before the May ruling, and have threatened to withhold their annual payments to the state from their casinos if sports betting is offered anywhere but on their soil. That amounts to a potential $250M per year haircut for the state. Outgoing Governor Dan Malloy will be replaced next month by Democrat Ned Lamont or Republican Bob Stefanowski, and neither has offered a definitive vision on the issue. Residents of, say, Greenwich, Connecticut already have the option to make a mere 40-minute drive southwest to land in Mahwah, New Jersey, where they can — if they are at least 21 — wager on as many games as desired, legally, on their smartphone. (I recommend the ribs at The Mason Jar on Route 202.) Or take Route 17 south for another 35-40 minutes, and they can join fellow bettors at the FanDuel Sportsbook at the Meadowlands Racetrack and bet there with live tellers if they prefer. The real impetus for Connecticut to kick into gear will be what New York does — which, right now, is nothing. But next spring, a New York sports betting bill may rouse the Connecticut legislature. Tribal gaming lobbyists no doubt already are working overtime to try to ensure that only the casinos can offer brick-and-mortar sports betting, and that only they or their partners can offer an online version. The arrival of a new governor further muddies the waters — although neither candidate is showing signs of being opposed to sports betting, as outgoing Governor Malloy was. These issues, as was the case with casinos 25 or so years ago, are coming to the forefront in the Northeast first. New Jersey, Delaware, and West Virginia — the latter bordering the region — already have sports betting in place. Pennsylvania law permits it, and could have it operational next month. 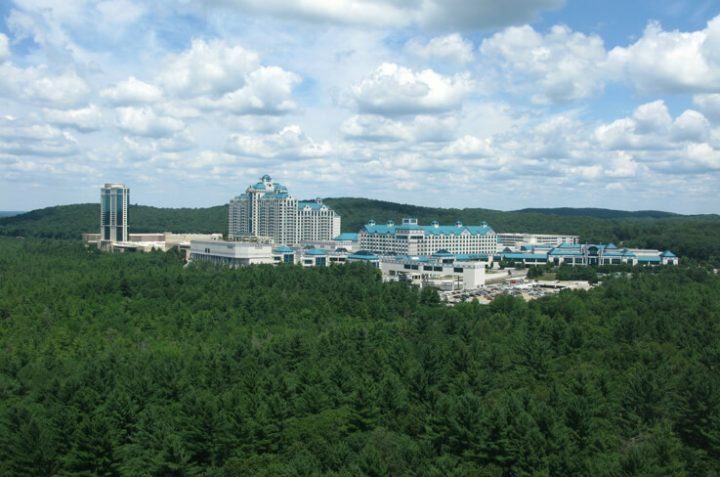 Connecticut was a relative pioneer in legalizing casinos, with Foxwoods opening in 1992 as the lone rival to New Jersey’s Atlantic City casinos on the East Coast. There aren’t signs yet that the state will be as aggressive this time, but we’ll watch for news on this front after the election in a few weeks.